Sam Carter is a Senior Policy Associate at J-PAL Global, where she supports J-PAL’s Finance sector, Government Partnership Initiative (GPI), and cost-effectiveness analysis. She is also a liaison to the J-PAL Latin America & the Caribbean office with a focus on J-PAL’s work in Brazil. As a member of the Policy group, Sam works with governments, international and non-governmental organizations, and the private sector to develop new research projects and to help encourage decisions based on rigorous evidence. She also writes evaluation summaries and policy publications to help communicate technical research to a wide range of audiences. 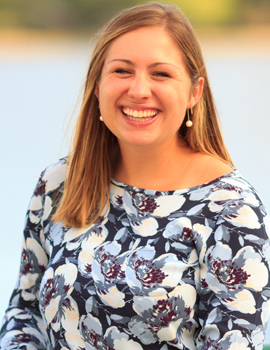 Before joining J-PAL, Sam graduated Phi Beta Kappa from a five-year BA/MA program at the Johns Hopkins School of Advanced International Studies (SAIS), where she studied Latin America and International Economics. During her studies, Sam worked with the World Bank's research team on understanding financial capability and its implications for financial inclusion efforts, interned with USAID's Latin America bureau, and spent a summer at the US Embassy in Lima, Peru. She also worked as a teaching assistant for two econometrics courses at SAIS. What have we learned about building a culture of data and evidence use in government?